In the late 1800s Mary Kasson Wead and Samuel Clark Wead were prominent residents of the village of Malone, New York. They shared a son, Frederick Fuller Wead, from Mr. Wead’s first marriage. During the Civil War their son, now Colonel Wead, lost his life in battle in Old Cold Harbor, Virginia. 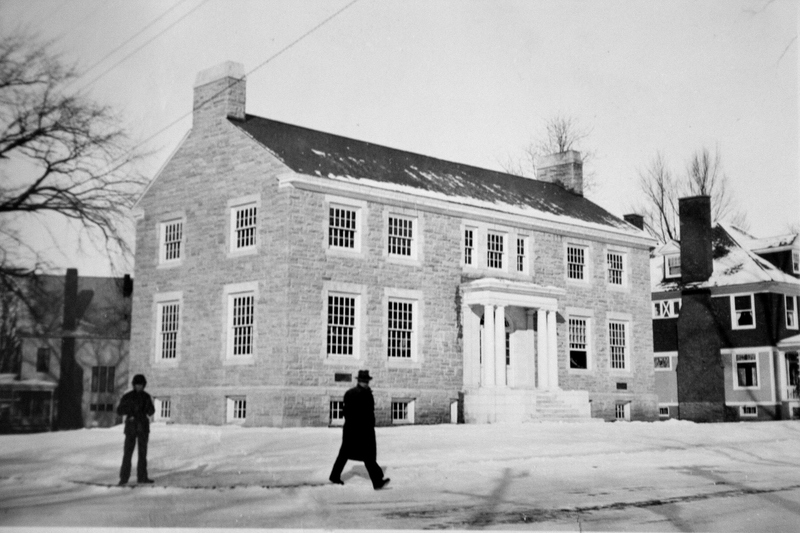 On Christmas Eve in 1881 Mrs. Wead announced that she would honor the memory of her deceased husband and late son with an endowment that would establish a library at 12 Elm Street in Malone. Her gift was given to the School District as she felt that would lend permanence to her endowment and their memory and that relationship continues to this day. 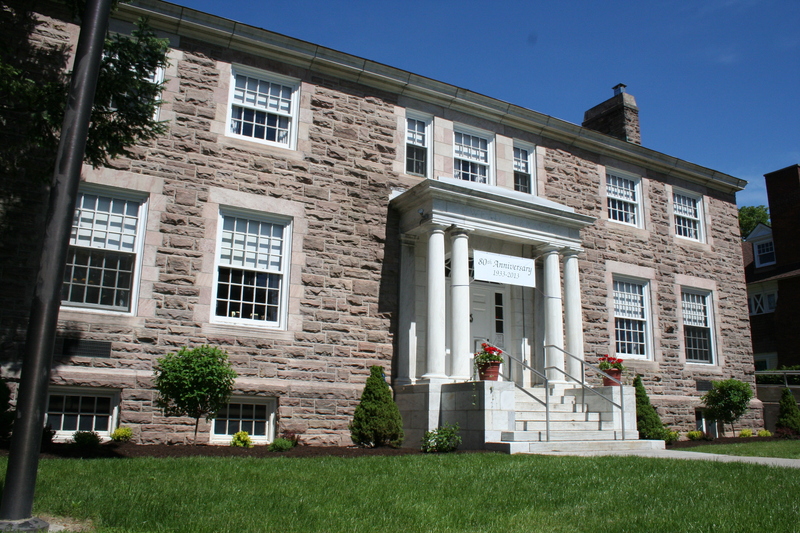 The present building was constructed when the original library at 12 Elm Street was deemed inadequate by the Board of Education. Frederick Wead, a Boston architect and Wead family descendant, designed the building utilizing Crippen stone from the town of Burke on the exterior. Upon completion the books were carried from the 12 Elm Street location to the new library by an army of volunteers. Long tenure has been the hallmark of the Directors of the Library over the years. While Mrs. Wead served briefly as librarian she was succeeded by George Whipple who served as Director into the early twentieth century. Louisa Merritt was the first of the librarians to have a degree in library science having received her education from Columbia University. Ms. Merritt served the library as Director until 1957 at which time Mr. David Minnich was hired as her replacement. Mr. Minnich, as Director at the Wead Library, served a lengthy tenure and retired in 2011. Director Susan Wool is currently serving the needs of the reading community in the greater Malone area. Her many years as Children’s Librarian at the Wead bring a wealth of experience and great understanding of the local reading community. 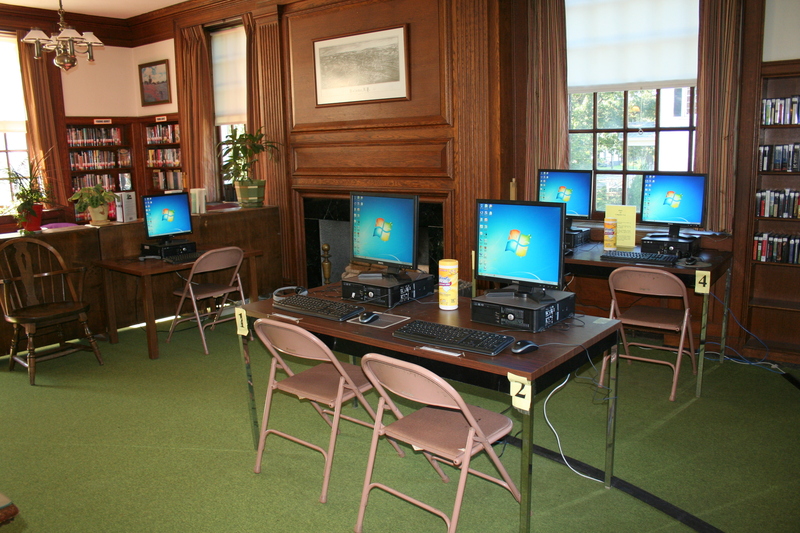 The Wead Library has seen many changes over the years as the demands of technology increase. Inadequate, aging computers have been replaced with modern reliable equipment that is up to the current demands of technologically aware patrons.The old oak card catalogs, as lovely as they were, are a thing of the past and searches are now easily and quickly done with the aid of computers. More recently, much needed cosmetic and physical improvements have taken place to help our library be a safe and beautiful place to visit. We hope you stop by to check out a book, read a magazine, take home an audiobook, use our Wi-Fi, or just admire our lovely landscaping and building improvements. The Staff of the Wead Library look forward to serving your reading pleasure.